These artworks located in Otakaari 1 are based on digital printing. The works Giant 1 and Giant 2 study the different surface systems and structures as well perceptions by developing small tile elements that are combined to be a large ensemble. 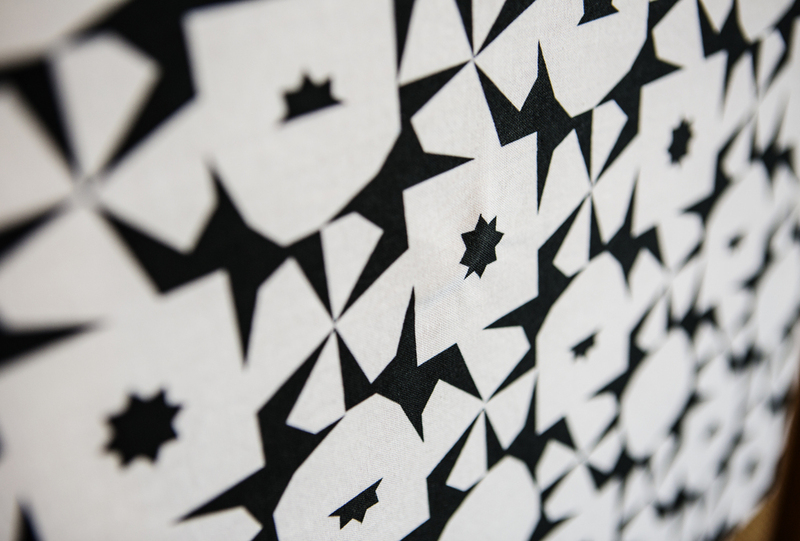 The work Repeat explores the means of symmetry, 90-degree turnings and half-drop system resulting in a digital printing on cotton fabric with reactive colours. The works originate from a cross-disciplinary course Crystal Flowers in Halls of Mirrors: Mathematics meets Art and Architecture held in Aalto University.